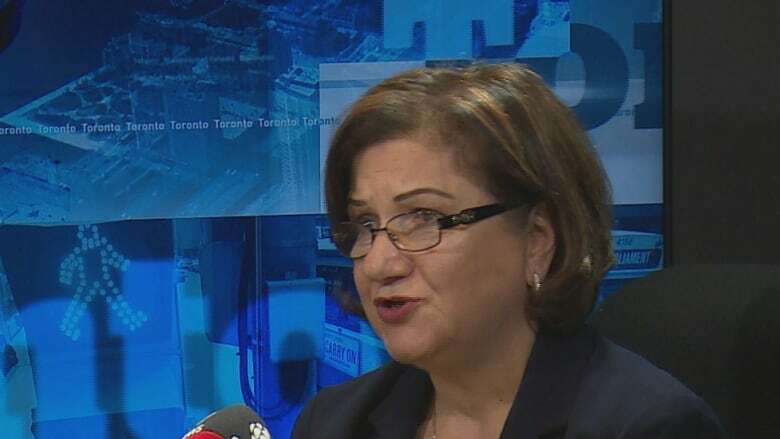 For the last month, three retired guidance counsellors have been cold calling students who didn't return to the classroom after summer vacation, as part of a strategy by the Toronto Catholic District School Board to try to encourage them to come back. At least one school board is using phone calls to try to boost its high school graduation rate. "I try to do my best with them and try to give them back hope," said Zavina Kheir on CBC Radio's Metro Morning. Kheir said she spends about 10 hours a week calling young people who have given up on school. And it's not always easy: she's suffered her share of hangups from young people on the other end of the line. "They think initially that I'm trying to investigate things about them. I say, 'No, no, no.'" Kheir said she's spoken with former students who need just two or three more credits of the 30 required to graduate. For them, she tries to come up with creative solutions, such as going to night school or doing a co-op program. Even former students who are in the workforce may be able to use their current job as a co-op placement. But the teen is now back in class after Kheir suggested she study part-time at an alternative school — and the girl's mother looks after the baby during those hours. Kheir's support also doesn't end with one phone call. She's had young people break down in tears on the phone and met with them in person. She says with all students, the key is following up, checking in every few weeks and supporting the students as they earn their needed credits. "I say, I'm your companion in this journey ... we'll finish, we'll graduate." That personal touch seems to work. Kheir said during her four years on the job, she's convinced hundreds of young people to go back to school. This strategy is for a board that has an above-average graduation rate, according to 2015 data from Ontario's Ministry of Education. It shows 88.2 per cent of Toronto Catholic District School Board students finished high school within five years. The provincial average, meanwhile, sits at 85.5 per cent. Kheir loves her new role helping students. ​"It feels great. When I get them to take their first step towards their goal, I feel happy." But, for her, nothing beats what comes next. "When I see them graduating, my heart is filled with joy."